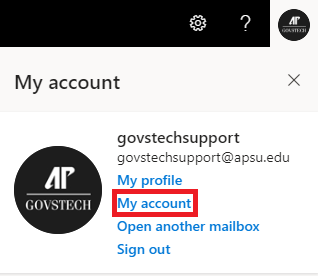 Log into mail.apsu.edu for employees and https://outlook.office365.com for students. Click the gear symbol in the upper right-hand corner. Click Office 365 at the bottom. If you do not see the menu in step 3, click the icon in the upper right-hand corner and click My account. Click Security & privacy on the left. Click Password in the middle. Input your old password. 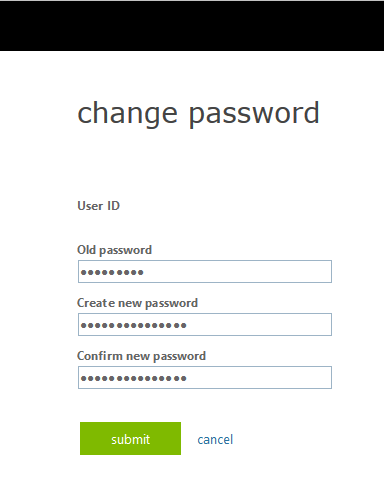 Create a new password and then type it again to confirm. Click submit. If you see the following error message, your old password was entered incorrectly. 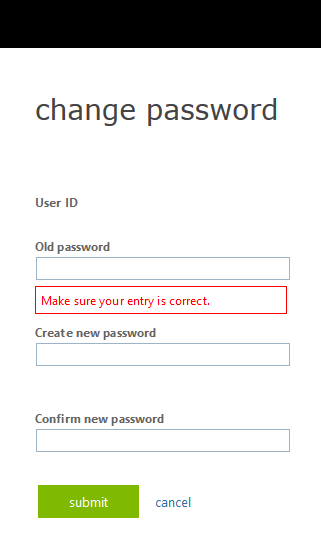 Go back to step 6, making sure to input the old password correctly. 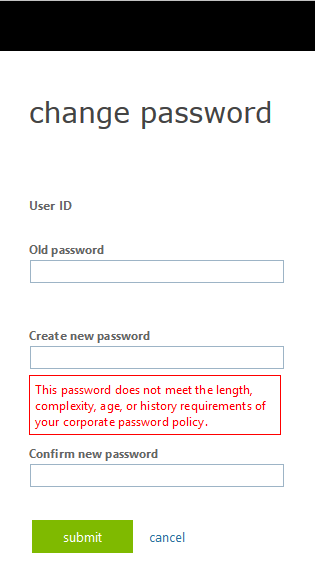 If you see the following error message, your password is not complex enough. It needs to be at least 8 characters long, and must contain a combination of uppercase letters, lowercase letters, numbers, and symbols. It cannot match one of your previous 24 passwords.